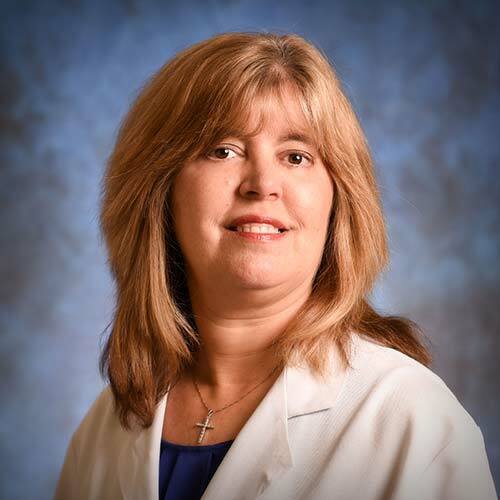 Dr. Sara Walker-Koziol is a practicing physician with Calera Family Health and has been practicing medicine since 1993. She graduated from Auburn University in June of 1986 and the University of Alabama at Birmingham Medical School in June of 1990. Upon graduation Dr. Walker-Koziol completed her residency at Carraway Methodist Medical Center from June of 1990 to June of 1993. Dr. Walker-Koziol is board certified in Internal Medicine having received her certification in 1993 and recertified in 2003 and 2013. She is licensed in the State of Alabama and was Chief of Medicine at Shelby Medical Center from 1995 to 1996. When Dr. Walker-Koziol is not caring for her patients at the family practice, she enjoys spending time with her family. Her hobbies include boating and dancing.